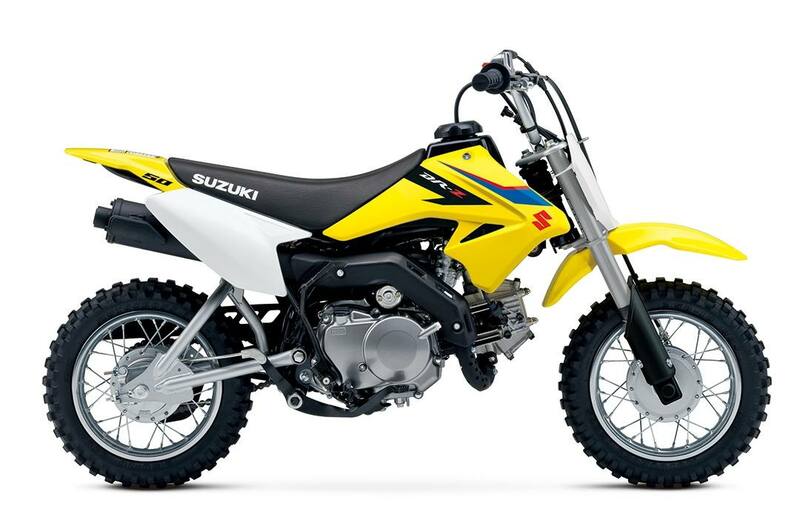 The 2019 Suzuki DR-Z50 is the ideal way to introduce young beginning riders to the sport of motorcycling. This compact, Suzuki-built mini-bike brings ease and convenience to riders just getting started on two wheels. With an automatic clutch, three-speed transmission, electric starting, and a low 22-inch seat height, this race-styled bike will help build confidence and riding ability for young supervised riders. The 49cc engine delivers a smooth, controllable power band, and adult supervisors can adjust its power level so young riders can learn at a proper pace. 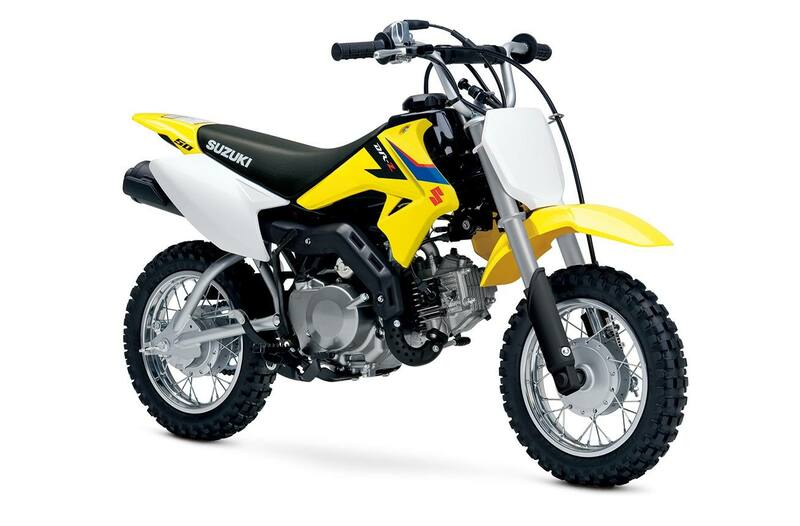 This motorcycle can be in the family for years, thanks to its rugged construction and sturdy 10-inch wheels; the Suzuki DR-Z50 combines a reliable engine with quality running gear that's built to last. The 2019 DR-Z50 is the ideal way to get your whole family involved in motorcycling!